Voting starts today over at One Month To Win It for our Week 2 Projects. I can’t wait to see what these talented ladies come up with! 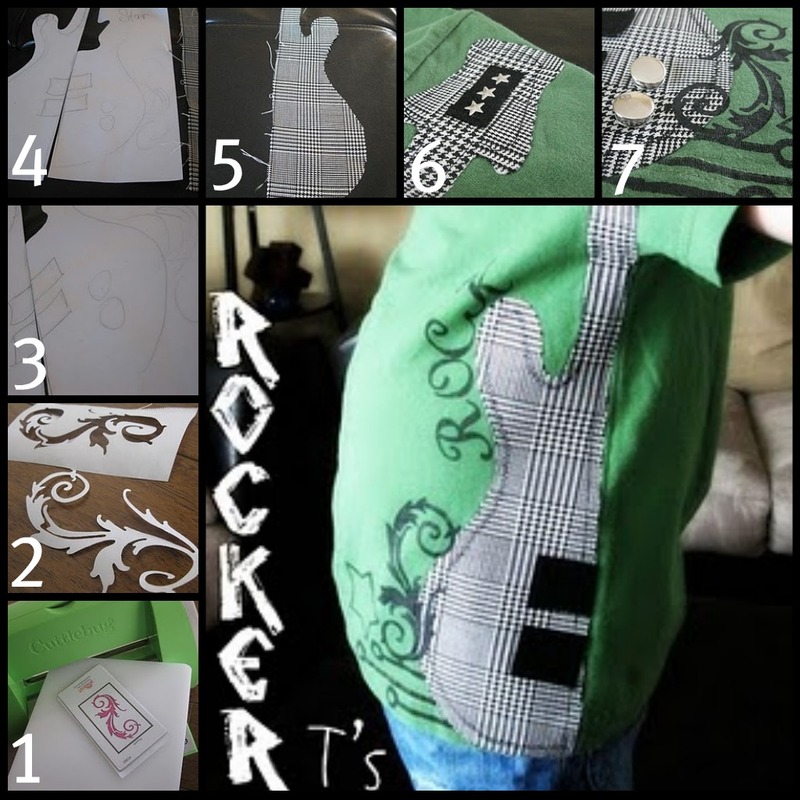 I also want to give you this quick tutorial for the Rocker T-shirts that I made for the boys. Cheri at I Am Momma ~ Hear Me Roar inspired these with her Lets Hear It For The Boys contest. So I went out and got some plain T’s from Walmart for $4 and used left over fabric from this project. to cut a fab swirly thing out of freezer paper. 2. I ironed on my freezer paper stencils and painted using black fabric paint. 3. Here’s a shot of my design sketch. 4. That I cut out to use as a template for my houndstooth fabric. then stitched around the edges with a zig zag stitch. 7. and attached a couple of authentic snaps. The boys love them, I love them and they were fun, easy t-shirts to make. You can find the original post here. this weekend. Stop by for more Great Gift ideas!